Admit cards for DAVV CET 2018 is available for download from official website. The exam is scheduled to be held on May 22, 2018. DAVV CET 2018 applicants can download their admit cards from the official website of Devi Ahilya Vishwavidyalaya, Indore, by using their login IDs. Click on “CET 2018” link, CET page will be opened. Then Click on “Download Admit Card” button. Download page will be opened. Login screen will be opened, enter the following details and your admit Card. 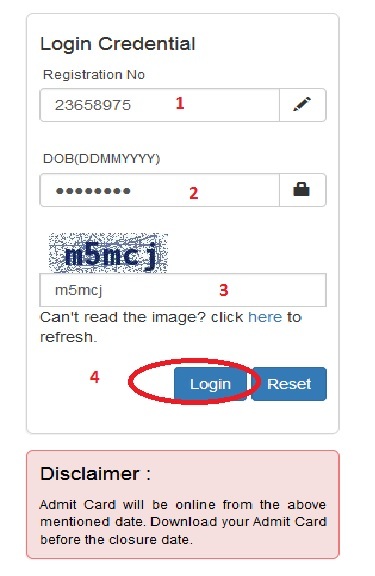 Step 3 : Enter Captcha code shown below.